NEW YORK Banana Joe didn't monkey around this time. 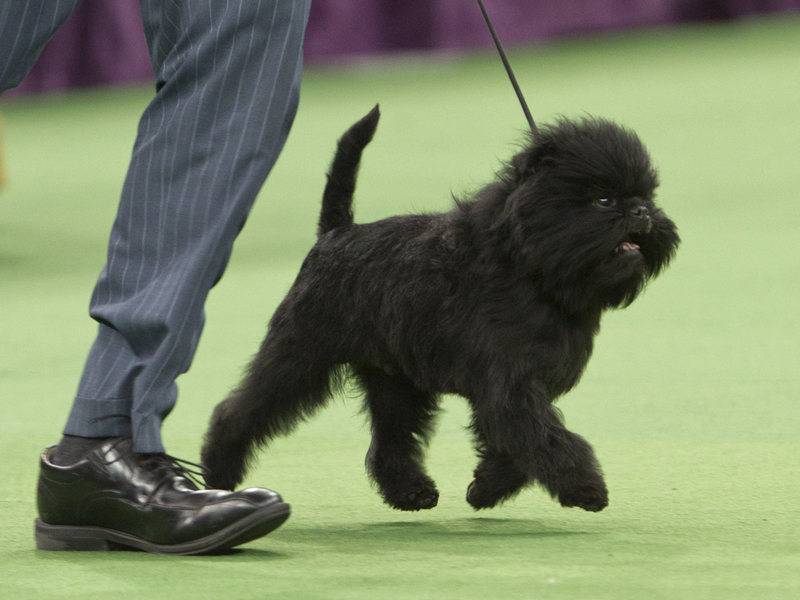 The little affenpinscher with the bouncy step and shiny black coat walked off as America's top dog Tuesday night, winning best in show at the Westminster Kennel Club. Affectionately called a monkey dog because he looks just like one, Banana Joe made up for near misses the last two years at Madison Square Garden. The 5-year-old wagged his tail a mile a minute and stuck out his pink tongue after earning his 86th best in show title overall. It was a timely win, too, coming a day before he was set to fly back to the Netherlands with his owner. That trip has now been postponed for his victory lap. "He's won a lot of big shows, but not like this one," handler Ernesto Lara said. A class clown, Banana Joe also is pretty bright. "He speaks German, Dutch, Spanish and English," co-owner and breeder Mieke Cooijmans offered. An old English sheepdog only 20 months old was picked as the runner-up on the green carpet of the Garden. Swagger the sheepdog drew the most cheers, but judge Michael Dougherty picked Banana Joe. "He was presented in immaculate manner," Dougherty praised. "He was on the minute he walked in. ... He's in perfect condition, perfect body." Also in the best-of-seven final ring were a German wirehaired pointer ranked as the nation's No. 1 show dog, an American foxhound, a Portuguese water dog, a bichon frise and a smooth fox terrier. Lara kept hoisting Banana Joe after he became the first affenpinscher to win at the country's premier dog show. The playful pooch enjoys tugging at his squeaky mouse toy  now this champion from the toy group can put it in the prized silver bowl he won.